Alyssabeths Vintage: Looking forward to Spring! It's been feelign like Spring in North Texas since Saturday! For me, I'm ready for it to stay around a while. 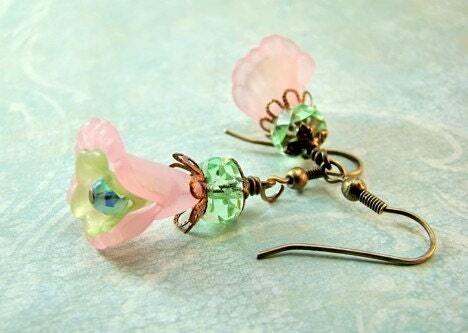 Flower Vintage Style Earrings Pastel Pink & Green Morning Glory - Shear frosted Pastel Pink & Green vintage inspired morning glory earrings, little iridescent blue faceted Czech beads, faceted pale green Czech glass bead and ornate floral bead caps in copper and antiqued brass. Earrings are set on oxidize brass French ear hooks. 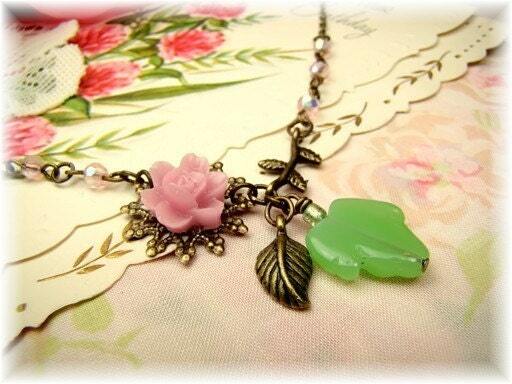 Romantic Rose Flower Necklace Garden Inspired -Romantic Long Stemmed Rose inspired necklace, handcrafted with a pink rose cabochon, an etched jadeite glass bead, a detailed antiqued brass leaf charm, an antiqued brass leafy stem and precious little 4mm pink Czech crystal beads. 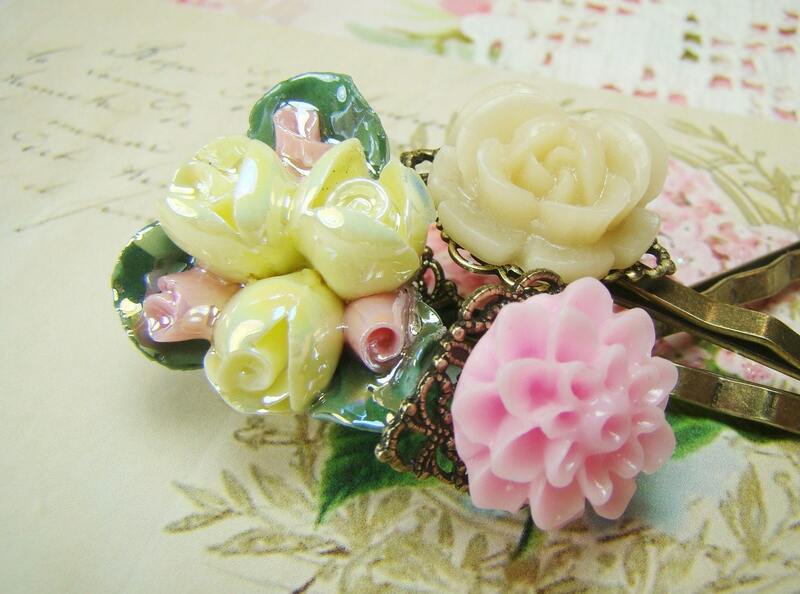 Shabby Chic Rose Flower Barretts in Pink Cream - Set of three handcrafted floral barretts bobby pin set on antiqued lace filigree, pastel pink dahlia, a vanilla rose & rose bouquet in iridescent porcelain pale yellow & pink .